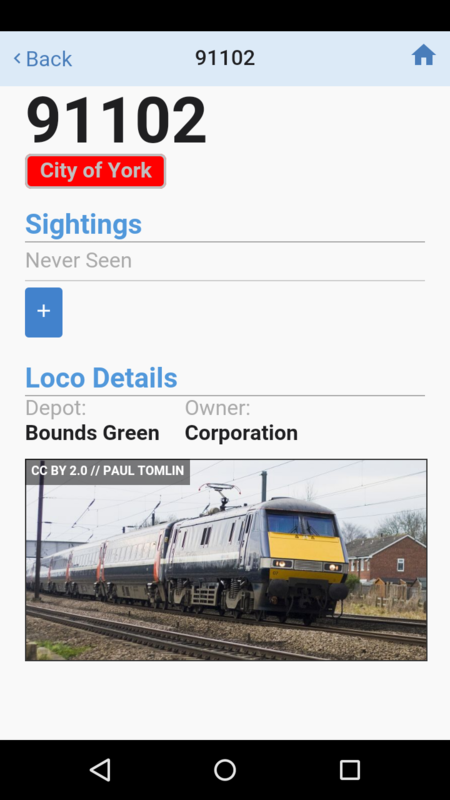 Trainspotter is a free app for trainspotting, which allows you to log and keep track of sightings of British trains, designed for Android smartphones. It was written and designed by Peter Eastwood. 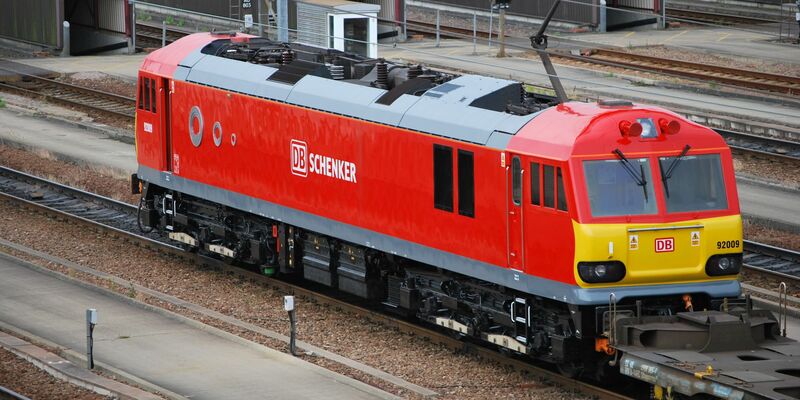 Up-to-date database containing all Diesel, Electric, DMU and EMUs. Easily log a sighting with only a few button presses. Immediately see whether you've seen something before. Is There an iOS/iPhone Version? 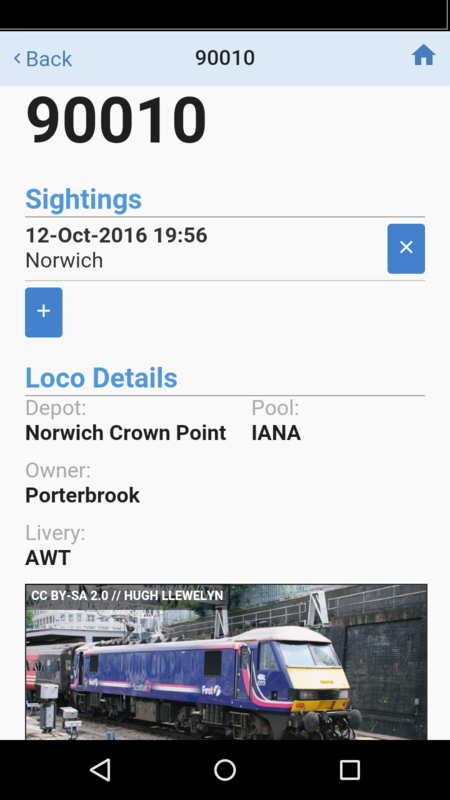 I'd recommend Train Spotting, an iOS app which is based on Trainspotter. Do You Have Any Plans To Release Non-British Data? 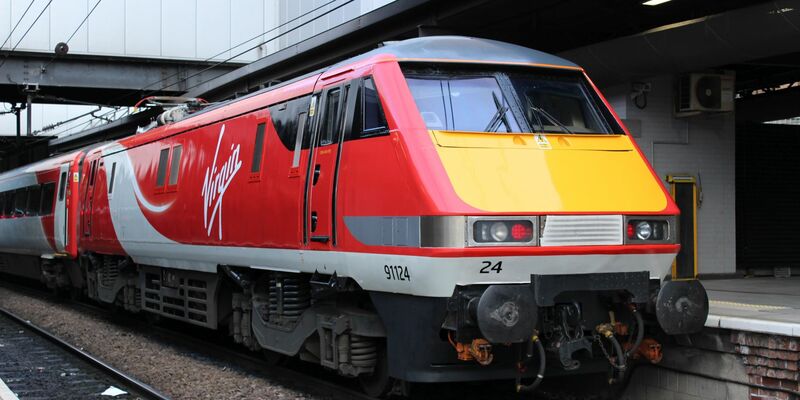 If you could possibly email support@trainspotterapp.com with the details, I'll get it fixed in the next release. 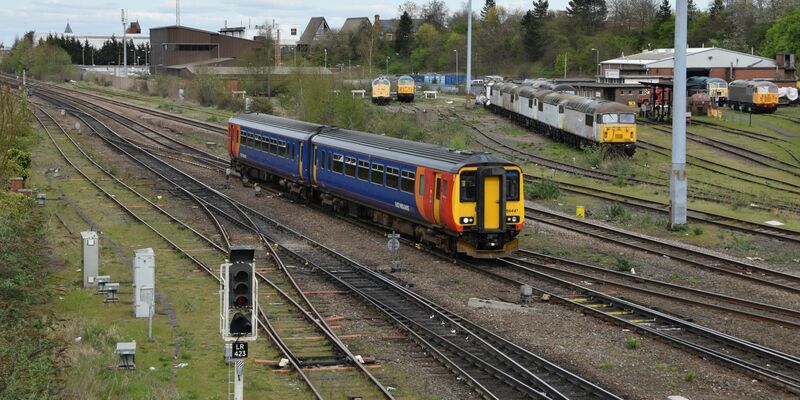 If you could possibly email support@trainspotterapp.com, I'd be happy to take a look and fix it as soon as possible. Where Did You Get Those Lovely Photos? From users who have given me permission to use them. Also, several of the photos from flickr and Wikipedia under permissive licences, which allow me to use them. 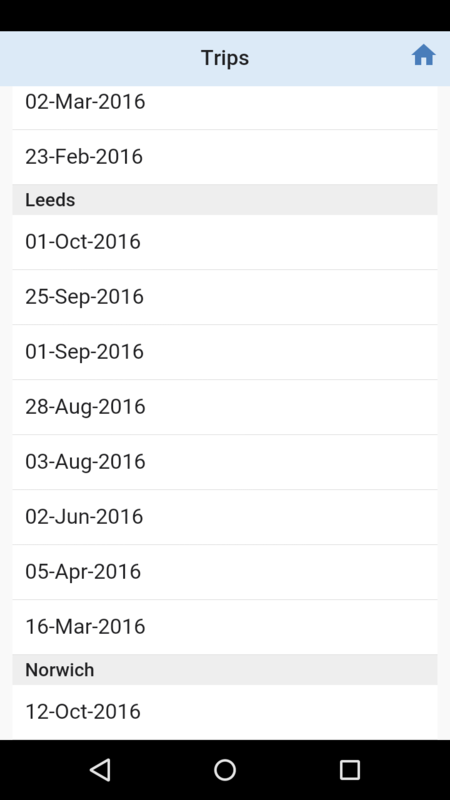 I am very grateful to anybody who has taken a photograph that has been used in the app - it really makes the user interface come alive. 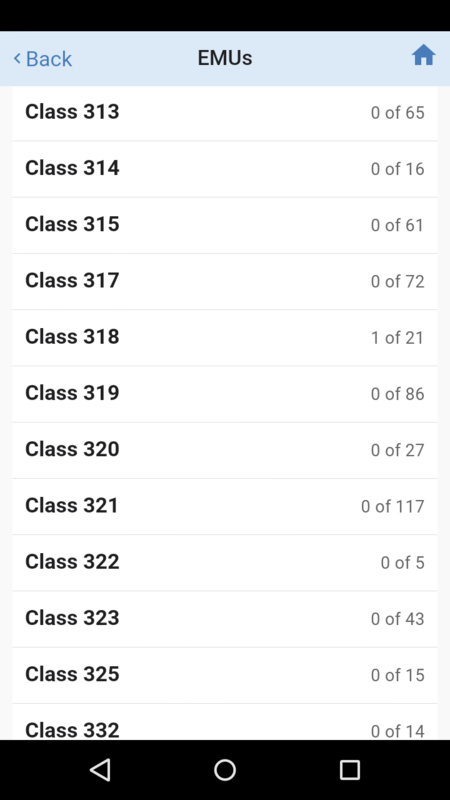 Email support@trainspotterapp.com and I'd be happy to remove it.